Rock, Rousey, Ember Moon, WWE Videos, Ryback, Dolph Ziggler, Alexa Bliss, Daniels, Ricochet, Mero, NXT UK Spoilers - Mon. The YouTube subpocalypse is for real and my YouTube channel could use your support. I need 1,000 subscribers to survive and it's at 719 subscribers right now, an increase from when the bad news broke, but I still need 281 more. While the revenue generated is small compared to a Game Grumps or a NoDQ it's still very much necessary to keep our operation running. Please subscribe to Mistah MegaManFan and help me out! On a recent edition of Observer Radio, Dave Meltzer said The Rock wants to be at WrestleMania 35: "The Rock wants to wrestle at WrestleMania. You know WWE wanted him last year. He was originally in the Kurt Angle position, he had filming stuff. If there's a movie project or something The Rock has to film at that time or a week later or something it makes it difficult because of the injury risk. If he doesn't have anything much going on I would think that he would. My impression is that he wants to wrestle, you know The Rock loves wrestling. If there's no movie project on the table that he wants to do and he wants to do WrestleMania I'm sure Vince isn't gonna go, 'hey we don't need you, we don't want you. Especially WWE is trying to break into China because The Rock's movies are doing just giant business in China. 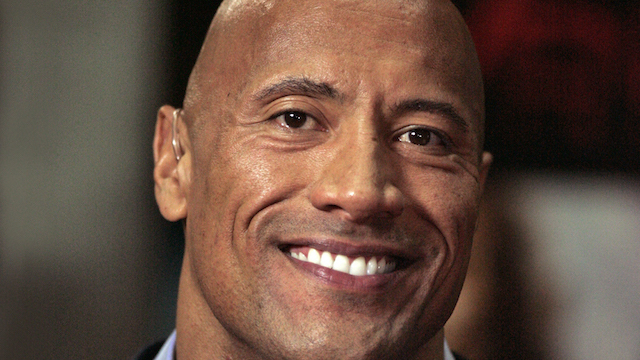 Even if they weren't doing well in China he's The Rock and he's one of the biggest movie stars in the world, some say he's the biggest, I don't know if he's the biggest, but he's up there. Time will tell, it's up to offers and schedules, you know? It's not like WrestleMania is going to be the number one thing but I think at 46, he'll almost be 47 next year, I think in The Rock's mind he's probably going, 'if I'm gonna do another match next year might be a good time.' Because do you really want to do it at 48, 49? Maybe, but I know he doesn't want to go in there when he doesn't have his speed anymore and when he's not as good as he once was." In this interview Ronda Rousey is praised by Ember Moon: "I love Ronda. She's awesome. I'm so proud of Ronda and everything she's done and what she continues to do here. I think a lot of people were expecting Ronda to fall on her face, but she's proven that she can hang with anyone." On his latest podcast Ryback praises Dolph Ziggler: "I saw early on his interview on the Kick Off Show by the panel, and I texted him afterwards that it was a hell of a promo, and he texted me afterwards, 'Woooooo!' He is in the zone right now and I think from a psychology standpoint he is amazing in the ring and an amazing human being. Now, you put a big psychopath around him, as he describes Drew McIntyre, it now makes sense that he is winning after he was booked horribly at times with many missed opportunities as well. Now, from a fan standpoint it makes sense why he is winning. He is confident and knows how good he is, and that is coming across now in his character. When I hear him speak I know him so well and I know when he is in the zone. I feel that it is clicking with him right now." Here Alexa Bliss talks about getting two wins in one night at Money in the Bank: "That has to definitely be up there at the time. Winning your first title - nothing can ever get in the way of that, but that was definitely up there. Perhaps at number two. Two victories in one night is something that hasn't happened to me before. So that definitely has to be very top. I was so nervous too because I wasn't sure that I would have been able to reach the briefcase. That was my biggest concern." In this interview Christopher Daniels talks about the upcoming ROH MSG show: "I think everybody is excited about the possibility, the opportunity of going. It's like you said, it's hallowed ground, a lot of the guys that are from the north east grew up watching wrestling and a lot of them went to MSG as kids to watch the WWF. And now, to think there is an opportunity for us to walk the isle, to perform in Madison Square Garden - it's a historic thing. It's been a very long time since someone who isn't WWE has run a show there. We're all looking forward to it and I'm sure we're going to do great. We're very lucky to have guys on our roster that people are interested in. Guys like the Young Bucks, Cody Rhodes, Marty Scurll, Adam Page, So Cal Uncensored just to name a few. I feel like it's a good time for Ring of Honor and for us to announce the show for Madison Square Garden and announce the show now is a big deal for us." Going back to Observer Radio again for a moment, Dave Meltzer says Ricochet has increased NXT ticket sales: "I've heard people tell me that a lot of the shows are drawing a lot better because of Ricochet. Even though Ricochet's not on the shows, they're drawing better. That's kinda like the feeling." Courtesy of PWInsider, this weekend's CHIKARA Egg Monsters From Mars results are below. Blanche Babish defeated The Whisper with the Soda Jerk submission. The Legitimate Businessmen and the Beast Warriors defeated The Legion of Rot and The Closers by disqualification. This may have been a no contest. The babyface turn of Crummels and Defarge continues now that the “literal dirtiest players in the game” have begun using hand sanitizer before high fiving fans. During the entrance, The Closers attacked the Legitimate Businessmen, leaving the Beast Warriors at a disadvantage to begin the match. Roughly ten minutes into the match, The Legitimate Businessmen returned to the ring, took the hot tag, and immediately turned heel again and attacked the Beast Warriors, revealing they'd been paid off by the Closers. The six-on-two beatdown continued until the referees finally regained control. Crummels and Defarge used the hand sanitizer again before shaking hands with The Closers. Mr. Touchdown defeated David Starr with the flea flicker to gain his third point and an opportunity at the Grand Championship. Starr and Touchdown shook hands after the match, and the crowd showed their appreciation to Starr. Mr. Touchdown has been a workhorse in Chikara this year facing off with a ton of indie stars and bigger names. We go to a short intermission. The Proteus Wheel (Frantik, Callux, and Volgar) defeated Jeremy Leary, Lucas Calhoun, and BMD after five powerbombs to BMD. The Proteus Wheel completely dominated and walked the line of being disqualified for excesivo de castigo. Razerhawk defeated Icarus. Icarus used Zbyszko-level stalling tactics before the match: trash-talking the crowd for the entire length of his entrance theme, grabbing another bottle of water from the concession stand, putting his hair in a ponytail before finally getting in the ring. Icarus had the clear advantage and could have won multiple times if not for his nonchalant covers, but Razerhawk was able to counter one of these nonchalant covers into a crucifx to get the three count. Icarus connected with a pedigree after the match before storming off. Kikutaro, Los Ice Creams, and Princess KimberLee defeated Travis Huckabee, Merlok, Cajun Crawdad, and Hermit Crab. After the match, Princess KimberLee announced that she is vacating her spot in King of Trios to compete in the 5 Star Grand Prix Tournament for Stardom. She asked Kikutaro to join Los Ice Creams in her place. As the Princess returned to the locker room, The Whisper appeared, furthering the issue that started in Season 17. We go to another short intermission. Juan Francisco de Coronado defeated Solo Darling when she passed out in the Coronado Clutch in his 13th defense of the Grand Championship. Both de Coronado and Darling focused on attacking the left leg to lock in their respective submission holds. Notes: Mike Quackenbush, Sidney Bakabella, and Bryce Remsburg rotated on commentary. Bryce Remsburg, Kris Levin, and Betsy Ross (the woman, not the bridge as they say) acted as referee. Chikara returns to the Wrestle Factory for Chikarasaurus Rex: A Deadly Secret on August 11 with the debut of Dasher Hatfield's son, Boomer, already announced. Here Marc Mero says he used to REALLY love cocaine: "The drug of choice back then was cocaine. Everybody was pretty much partying on cocaine and what happened was I started missing shows and you know how that is. You can't miss shows. If your name is on the marquee, you don't miss an event. I'll never forget that Dusty Rhodes after missing a couple of events... called me into his office at the CNN Center and when I came into his office - and you know how jovial Dusty was, fun and always laughing, just a great guy. I've never seen him so sad and so serious. It was heartbreaking. He just looked at me and he said with this really stern look and sadness about him and he said, 'Kid, I made you and I can break you. If you miss one more show, you're done.'" Here Bruce Prichard talks about the one-time idea of Warrior vs. Flair: "I don't think that they would have worked with one another. Talk about a clash in style. From my vantage point I don't think we had a solid plan heading into WrestleMania 9 regarding Ric Flair and Ultimate Warrior when everybody left in November. At least not to anything I was privy to at that point. When I got there in September, we were working towards Survivor Series and then everything blew up with British Bulldog and Ultimate Warrior leaving, but I could have seen that, being a logical progression getting to Ric Flair and Ultimate Warrior. I don't think it was ever discussed. I thought that would have been a horrible match." * Before the show, they had a 10-Bell Salute for Nikolai Volkoff. * In the opener, Curt Hawkins has now lost 212 in a row, losing the fall in a 6-Man tag as he and the Ascension lost to Titus Worldwide and No Way Jose. * They did the bit where Bobby Lashley interrupts Elias' concert, and delivering the delayed vertical suplex. * Bayley and Sasha Banks def. Alicia Fox and Liv Morgan. * Bray Wyatt def. Kevin Owens. * After the intermission, the Authors of Pain def. Zack Ryder & Chad Gable. * Alexa Bliss def. Natalya and Ember Moon in a triple threat match to retain the Raw Women's Championship. * In the 6-Man Tag Team Main Event, Roman Reigns, Seth Rollins, and Finn Balor def. Drew McIntyre, Jinder Mahal, and Baron Corbin. In this interview Stu Bennett (Wade Barrett) says he will eventually return to the ring: "I'm on a bit of a career sabbatical at the moment. I wrestled for 14 or 15 years. I've got a bunch of injuries, I'm tired, I'm getting old, I'm getting some grey hair now. I promise you Morgan that at some point I will be back in the ring and maybe that will take place in WOS. We'll have to see." Last but not least WWE NXT UK night two *SPOILERS* are below. (PWI) Don't scroll down if you don't want to know. Andy Shepherd (from the WWE UK Network specials) was the ring announcer and handled hosting duties. * First up was a dark match. Killer Kelly beat Millie McKenzie with a Dragon Sleeper. * The first taped match was Ligero vs. 'Wild Boar' Mike Hitchman. Ligero won with a Springboard Tornado DDT. * Moustache Mountain defeated the team of Sam Gradwell and Saxon Huxley, when Tyler Bate hit his trademark springboard off the ropes into a clothesline. * More women's action, with Isla Dawn defeating Nina Samuels with a move similar to a Brainbuster. We were shown a brief backstage video, where Travis Banks had been ambushed and Johnny Saint was checking on him. * Mark Andrews defeated Wolfgang with a Stundog Millionaire followed by a Shooting Star Press. Andrews and Wolfgang teased dissension but they were fine. * The Coffey Brothers came out and attacked Mark. Flash Morgan Webster came out for the save. Wolfgang stood by doing nothing, but eventually looked like he was going to help, before siding with the Coffey Brothers and beating down Andrews and Webster. * Jordan Devlin defeated Tucker, using a move that I can't describe. It started off like a GTS, but didn't finish like one. * Zack Gibson took on Amir Jordan next. Gibson was the biggest heel on the show without a doubt. He forced Jordan to tap out to the Shankley Gates. After the match, Gibson cut a long promo running down the crowd and, well, everything. He was eventually cut off by Trent Seven who mocked Gibson for not being a part of the initial WWE UK shows. Seven challenged Gibson to an impromptu match, but Gibson bailed. * Damien Dunne (who was billed differently, I didn't quite catch it, but it sounded like Damien Wheeler) was snuck into the ring for a squash match against Dave Mastiff. Mastiff won with the Cannonball in the corner in fairly short order. * In a rematch from yesterday's dark match, Ligero took on James Drake. Ligero won using the Springboard Tornado DDT again. Ashton Smith came out for a match but was attacked by the Coffeys and Wolfgang before he made it off the stage. The heels then cut a promo. * Sid Scala was out next, and got tossed around by Eddie Dennis who ultimately defeated him with a Razors Edge into the buckles, followed by a Reverse DDT-esque move. * Jordan Devlin defeated Kenny Williams using the same finisher as earlier. * More women's action, with Toni Storm defeating Dakota Kai with the Strong Zero. They hugged after the match. As Kai was leaving, Jinny ran out and attacked her on the stage. Jinny slipped as was running out, so I wouldn't be shocked to see them re-shoot that segment. * Next up was a six-man with Mark Andrews, Flash Morgan Webster and Ashton Smith taking on the Coffey Brothers and Wolfgang. Joe Coffey hit a Discus Lariat on Flash for the win. * The main event saw Danny Burch challenge Pete Dunne for the WWE UK Championship. Dunne ultimately won, forcing Burch to tap out. All in all, a decent show. Lots of short matches, with absolutely no down time. The show featured 15 matches (13 + a dark match) in just three hours; so I wouldn't be surprised if they taped more than 3 episodes tonight. Zack Gibson was the obvious top heel. You couldn't hear a word he was saying over the crowd jeering him. Pete Dunne was the top face, with the crowd completely in to everything he did.